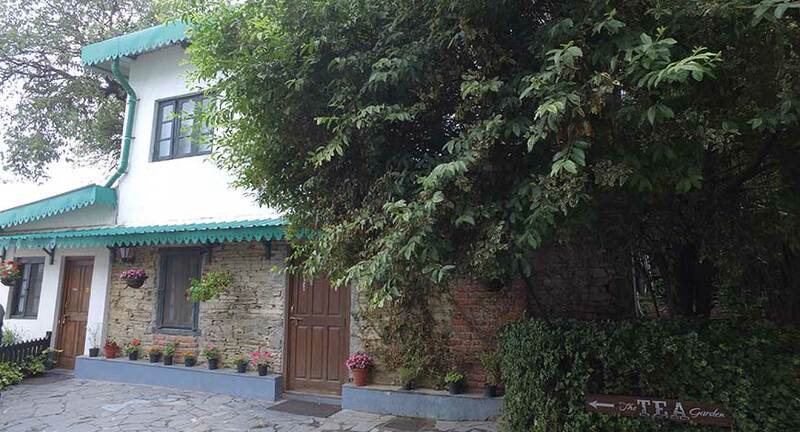 Landour, a sleepy little hamlet in the hills, an abode to artists and writers and thinkers, has garnered a reputation over time, partially because of its most popular resident - writer Ruskin Bond. 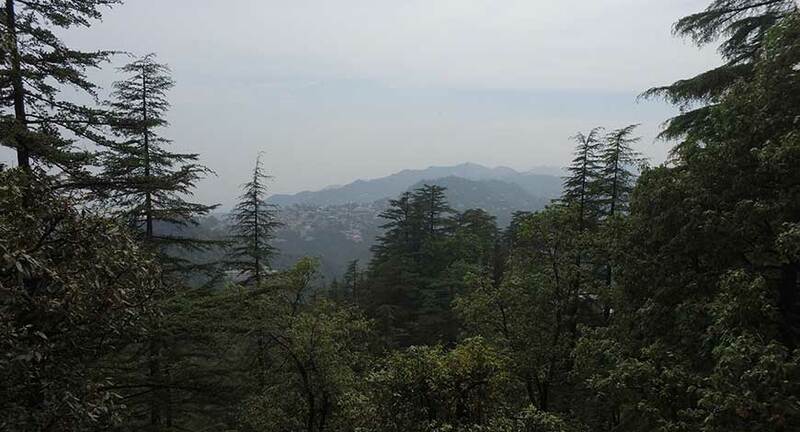 Located a short taxi ride away from Mussoorie, Landour is a town that seems to be suspended in time, capturing the air of a bygone era in a way that is hard to come by today. When one walks its streets, one feels pulled in by the old world charm of the Raj, steeped in history are the mannerisms and the ways of the town, and unsurprisingly, if you ask the residents that's the way they want to keep it. It is quiet, safe and probably the cleanest little hill station I have ever visited in India. Upon entering Rokeby, I felt like I slipped into a page from the Malory Towers- a book my grandmother used to me during the summer holidays. The rustic interiors of the room are an interpretation of the traditional colonial style with a few tweaks that bring it into the modern day. The cottages are nice and cosy and some of them come with a private balcony (perfect for your morning cuppa). Don't be fooled by the old world exterior as you are spoiled silly with all the amenities one needs. At Rokeby Manor, a Mars Hospitality initiative, you have round the clock service, chauffeur on call, wi-fi access, in-room dining, and even a gorgeous outdoor jacuzzi that overlooks the Doon valley. Rokeby offers a slew of activities to keep you entertained whether that is mountain biking or something that is a little less strenuous such as a nature walk, or even if it's just a drive down to clock tower cafe (another Mars Hospitality property). Perhaps you're like me and what you are truly craving is some R&R after a long arduous trek, then look no further than the in-house spa. The Little Salon and Spa-Shed, as its called, with its quaint rustic interiors and offers a comprehensive menu of body scrubs, massages, facials, and nail treatments. They also have a bar next door, which was under renovation when we were visiting but I know my friends have had some lovely evenings talking to fellow travellers over a mug of a hot toddy. Emily's, the restaurant has a cute little outdoor sit out where you eat your meals and watch the clouds roll in. It is particularly blissful on a misty morning when you are sitting in your sweater and nursing a cup of tea. The staff at Emily's is wonderful and well equipped to handle gluten-free and vegan requests. In the evening, step outside to see the green forest cover of pine trees boasting a magnificent view of the hillside lit up for the night. You can often find this area come alive after sunset as guests come out to enjoy a barbecue or cocktail hour, and it is also a spectacularly scenic place to host a wedding banquet. My favourite time to be out here though is on a starlit night, seated warm and toasty by a bonfire. 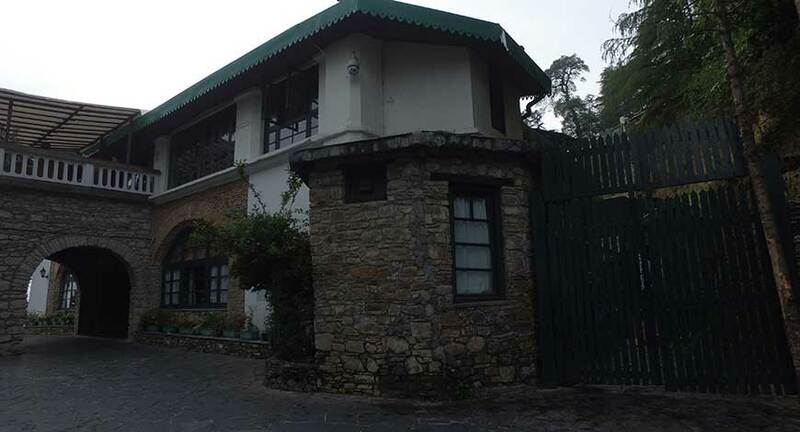 You can spend your mornings walking around Landour, stop for some coffee and a croissant at the Landour Bakehouse and head back to the hotel for lunch. If you are spending more than two nights at the property, I urge you to book the jacuzzi ahead of time for a truly memorable experience. Time really slows down when you are at Rokeby Manor and the hospitality, smiles from the staff, mountain air make it the perfect little escape from Delhi. Oh and while you are up there, make a pitstop at Prakash's and pick up some homemade peanut butter and jams for your family back home.